Have you noticed? The cost of food is once again soaring. 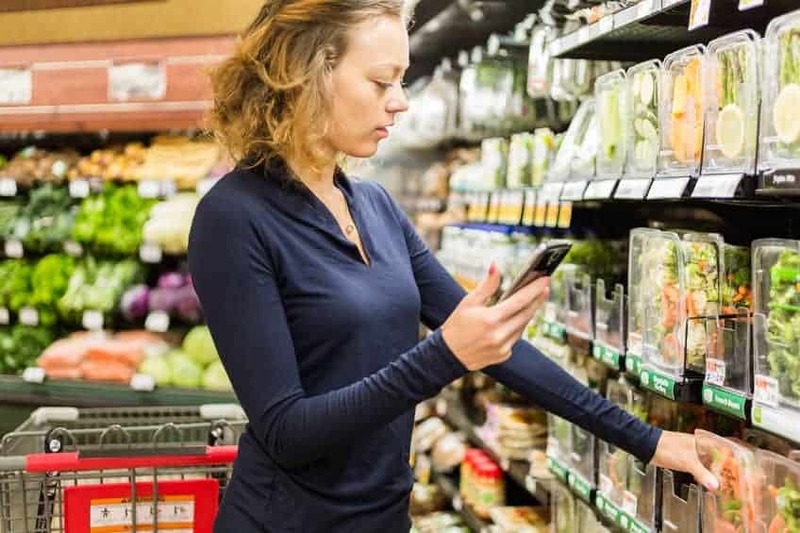 In fact, the U.S. Department of Agriculture (USDA) reported last week that inflationary food prices are going up at nearly double the uptick seen last year. This is not the first time in this column that we’ve visited the subject of how to get out of the supermarket with at least some money left in your bank account. Still, who doesn’t need an occasional reminder—a mental tune-up—to remain vigilant and razor-sharp when it comes to making our food dollars stretch until they scream. You believe that you can simply dash in to pick up the infamous few things. But if you’re starving, you’re a dead aim for a couple of steaks and a load of snacks. You know what I’m talking about. This is because anything can happen when you are hungry. Sure, playing Brain Age on your kids’ Nintendo Switch has revitalized your dead brain cells, rendering you the mental acuity of a youngster—but don’t push it. Without a list of the exact items you’ve come to purchase, who knows what could happen? It’s normal for our brains to slip into neutral in the face of fabulous food. A written list is the crutch you need desperately to make sure you do not slip and fall, so to speak. Know before you go. Hint: Go to your supermarket’s website where you can see its weekly sales flyer as well as the entire contents of the store. It’s easier to make your list at home away from all of the marketing ploys of a typical supermarket. Use the search function to find the exact brand, size and price for each item on your list. Here’s the Golden Rule of Groceries: Eat the sales. Don’t put anything in your basket that is not on sale. If it’s not on sale this week, it will be next or soon enough. If chicken is the loss leader this week, don’t plan meals around beef. And when that happens, try to buy enough chicken to last until the next time it’s on sale. You may need to stop being so brand loyal. Typical supermarkets and grocery stores work on a 12-week rotation. That means everything will be on sale at least once every three months. Cash—currency, clams, folding money, smackers, greenbacks—this is how you should be paying for your supermarket purchases. What? Not convenient, you say? Well, of course not, silly. That’s the point. Convenience is the reason you’ve been dropping the equivalent of a mortgage payment for food every month. Making the process a bit less convenient is an easy to way to slow that mindless drain on your income. Keeps you on your toes as you wander the supermarket, too. Hint: Stop at the ATM on your way to the supermarket and take out the amount you have allotted to spend on groceries. Sure it sounds the same as paying for groceries with a debit card, but it’s not. Cash is the real deal. A debit-card, like poker chips, is just a stand-in. DON’T MISS: Nok-Out Giveaway! 4 Winners Nok-Out and SNiPER! Most of them have wobbly wheels anyway, so just walk on by when all you need are those few items. Surely you can carry the “few things” you need. Or get one of the hand-held baskets. The point here is that you won’t be buying more than you can carry. This is not the place you want to hang out just to soak in all the great sights and smells from the bakery, deli and rotisserie chickens. If you weren’t hungry when you arrived, you will be soon. Get what you need and get out of there. For every ten minutes you delay, plan on spending about another $35. Work some “flex spend” into your budget. We all want to try new things, and in the candy land of choice known as the grocery store, this can lead to expensive last-minute choices. In my experience, the best way to combat this is not to fight it. Allow yourself a little flexibility—say, a five dollar allowance or a single impulse item each week. That’s the way to avoid the feeling that you’re drowning in deprivation. You’ll be less likely to go overboard. PREVIOUSLY: Help For The Organizationally Challenged—Plus a GIVEAWAY!